I’ve got a few chargers for various battery types but they only accept small aa, aaa batteries. I really needed a charger which charges large D type batteries. Shopping around I saw a couple of big chargers for ‘D’ type batteries but they were unbranded, and whilst there may well be nothing at all wrong with them (and they are guaranteed), I prefer to stick with Duracell, particularly because the actual large d type batteries I tend to use are also made by Duracell so in my mind, keeping everything the same across the board seems the best option. One would expect the required voltages, amps and whatever else like mAh values to match when using products from the same manufacturer. Also – it actually looks quite nice, it is fairly large because it has to accommodate the type D’s – four of them. On the front there you can just about see four LED’s which indicate the status of the charging process for each battery inserted into the charger at that position. They are red whilst charging, blinking red if there is an error, flashing green if the batteries can be used and steady solid green when fully charged. The error part is always of interest to me – I tend to get a duff battery from time to time, so watch out for that – not a huge problem. The charger accepts 100-240 V AC, 50/60 Hz so it can be used abroad, but you will need a plug socket adapter to achieve this – they don’t come included with the actual charging kit. 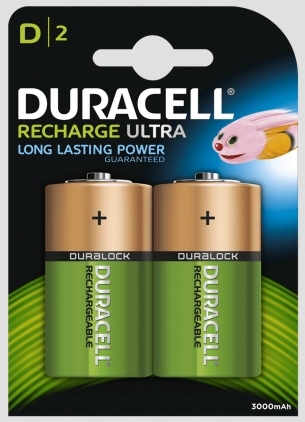 For your reference, the d types I am using with this are the ones shown below and are available online from duracells website or other outlets and have an mAh rating of 3000. During the charging process for my d-type batteries I close the lid to prevent dust getting in I suppose – but i’m more inclined to think the lid helps to prevent anything falling into the charger and maybe making the wrong kind of connection or knocking the batteries off their terminals. Additionally I do this in the kitchen, so whilst I am not near the sink, I AM near the kettle, so it’s probably wise to keep the lid closed to prevent splashes. I’m not sure if this could cause electrical sparking or anything, but water and electricity do not mix – we all know this. 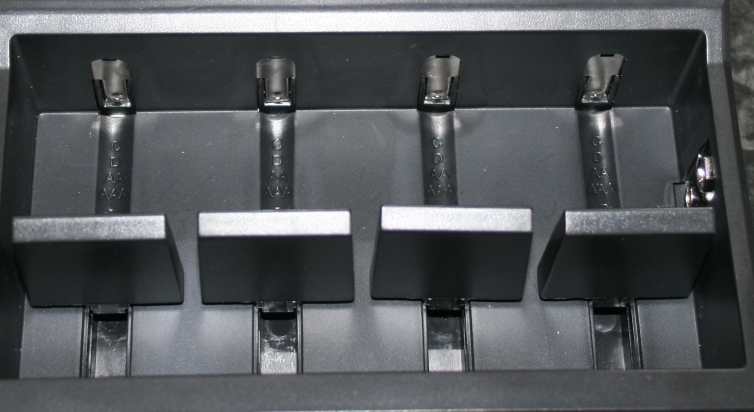 Inside the charger you can see the mechanism which allows the box to handle the large type d’s, basically those four protrusions slide back and forth on springs depending on the size you are inserting. 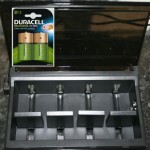 Over on the right hand side you can see the circular connectors for a single 9v battery aswell – I tend not to use those myself but I am sure it would come in handy for someone. There are a number of safety features built in to this charger (9 in total) and it also comes with a 7 year guarantee – can’t complain at that! 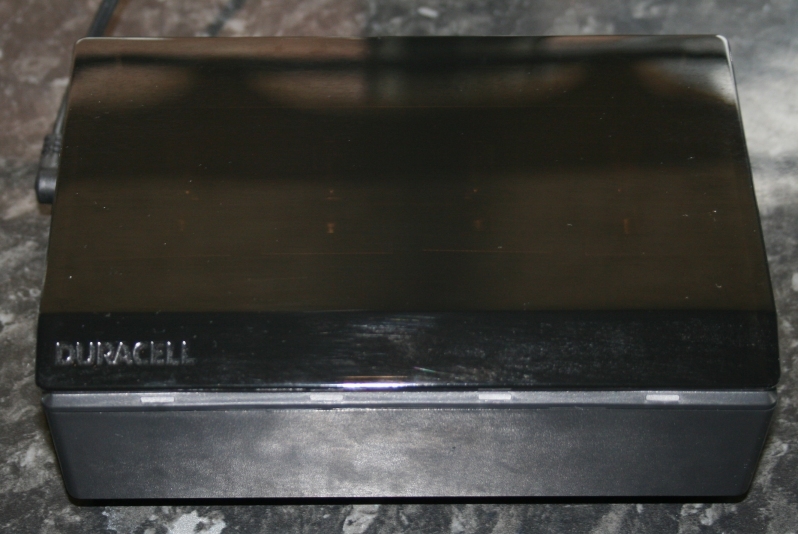 Duracell say that the trickle charge current will maintain capacity even when the cell is left in the charger. I’m slightly confused about the “even” part of that statement, I mean how would it maintain the cell capacity if it wasn’t inside? 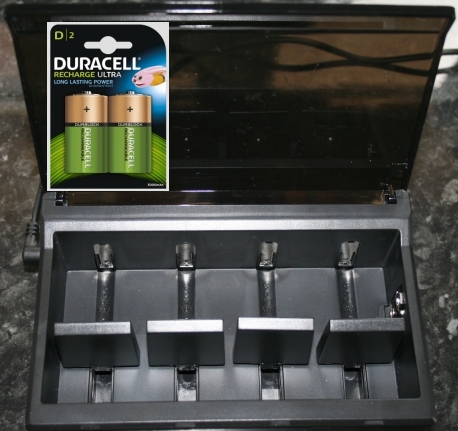 Anyway – all that is trivial – its a great charger and above is a quick shot of it with the lid closed – I can now finally stop having to pay so much money every time I need new d-types which is quite often. There is also a high speed charging aspect to this aswell – if you place two type aa power batteries in it, apparently it will charge them in 1 hour. Although this isn’t really why I got this particular model it could be helpful for others. In total it accepts aa, aaa, c, d and 9v cells.